Do you know what you are giving to the children on you Christmas list? What does your child want for his or her birthday present? Will it be Harry Potter books, the latest computer games, or some new clothes? Over the summer, I spent some time thinking about the Christmas days from my childhood. What made them special, and what did I remember most. From these thoughts came an idea for a new page on our website to let visitors share the best loved gift from their childhood. I had expected lots of stories about the wonders of a specific toy (the Barbie with the sparkles on her dress or the remote control car the won every race). Isn’t that the sort of gift hyped by the commercials at this time of the year? The kids themselves join the craze insisting on getting the one toy that is in short supply. Can you remember trying to find a Cabbage Patch doll or a Furby the year they were hot? Do you think that gift is the one your child will remember most 30 or 40 years from now? The visitors who have sent in stories about their own ‘best loved gifts’ wouldn’t agree. The gift that is remembered is the message of love from the adult who found the time to create a special memory for their child. Each of the stories include a ‘thing’, but what is important is ‘where did my mom find time to make all the doll clothes?’, ‘I loved horseback riding with my Dad.’, or ‘how did my mom smile and let us open the rest of our presents at 4am’. The gift that counts is time. The kids know time is what is important. That’s why they want you to spend weeks trying to find the most difficult to buy toy this year. You will be spending your time on something they want. It’s amazing that we have time to search all over the city for a toy, but so often are too busy to spend the same number of hours doing something your child wants to do. Why not turn it around this year? Spend the time with your child, instead of driving to 5 different toy stores. 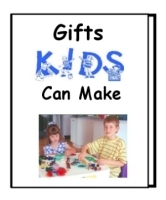 Tips for finding the perfect birthday present or Christmas gift for a child. Think about the good times you’ve spent with your child. When did you both have the most fun? Was it making a cake for his mother’s birthday, or the time you took her to the fair? Has your child ever mentioned a favorite day you spent together? What does he or she really like to do? What can you do build on that time? You could get some cartoon character cake pans, cake mixes and a promise to make a cake on the first Saturday of each month. How about getting a book of tickets to a movie theatre and agree to go to let you child pick the movie (even if you hate going to scary movies and your child loves them)? Give a birding book to a nature lover and then take your child out bird spotting. What about lunch for two in a fancy restaurant for a little girl who likes to dress-up? A sports enthusiast would love tickets to go with you to see his or her favorite team play. Don’t fall into the trap of giving items off a list. Children will often be momentarily thrilled with the latest and greatest toy. If the gift involves more of your money than your time, it will probably be forgotten in the same amount of time you spent to buy it! Yes, it will take time to think of the right gift, and it will take more time to actually follow through and enjoy the gift together. Take a moment and really think about what else you could be doing with that time. 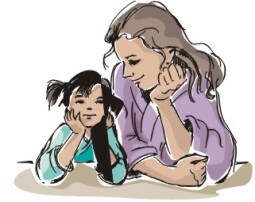 How many answers are really more important than making the time to show a child you love them? If you looking for more ideas, check out our Best Loved Gifts page. You may find the perfect gift idea waiting for you in a story sent in by one of our visitors. By the way, these tips work great for your best friend, favorite aunt or anyone else on your gift giving list. Sometimes it feels as if Christmas has gotten totally out of hand: too many parties, too many gifts, too much money being spent, too much of all the wrong things and not enough of the things that truly gladden the heart. A few years ago, Bill McKibben and his family took on the challenge of reversing this trend by creating a hundred-dollar holiday for themselves. They found ways to give of themselves, celebrating with their hearts instead of their pocketbooks. To their surprise, they found that by limiting what they spent, Christmas suddenly regained its joy, filling them with a new sense of community and aliveness.